Imagine a car coated with a surface that can simultaneously capture and store energy from the sun’s rays. It would solve one of the main problems associated with solar cells – they don’t work at night or in foul weather. 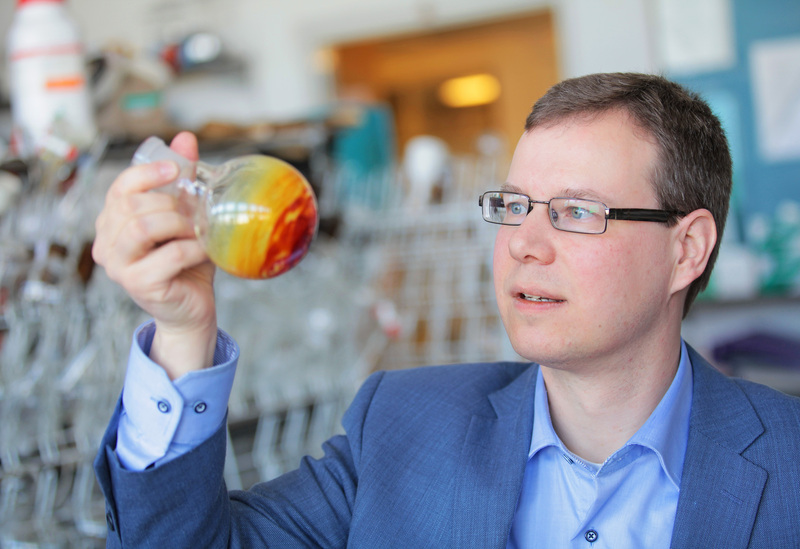 Paint which combines the properties of both solar cells and batteries is the ultimate goal for chemist Morten Brønsted Nielsen, who has just been promoted as a so-called ”fyrtårnsprofessor” (lighthouse professor) at the University of Copenhagen’s Department of Chemistry. Included with Mogens Brøndsted Nielsen's new post, 35 million kroner has been granted from the University to establish a research centre together with Nielsen’s colleagues Kurt V. Mikkelsen and Henrik G. Kjærgaard. They plan to build molecules that can arrange themselves into either solar cells or into a type of energy storing battery. "If we could produce panels in the form of paint, it would be possible to mount the panels in places where today it is impossible! -Particularly in Denmark, where there aren’t that many hours of sunlight, it would be extremely relevant to have solar panels able to store energy for when it is needed. If we could also produce panels in the form of paint, it would be possible to mount the panels in places where today it is impossible,” says the newly designated lighthouse professor. A combination of theory, synthesis and spectroscopy, as well as design, production and testing within the same centre increases the chances for realising the ambitious research project. The position as lighthouse professor is designed to elevate the overall level of chemistry research at the University of Copenhagen. Until now, Brønsted Nielsen has been a professor at the Department of Chemistry. 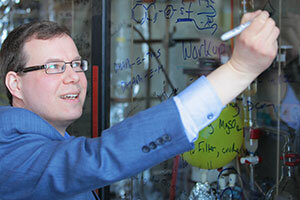 Department Head Mikael Bols explains his decision by pointing to Brønsted’s exemplary work as leader of the ‘Molecular Engineering Group’, a research group, which has been involved in the development of new molecules for advanced materials, including artificial photosynthesis and molecular electronics. - Mogens Brønsted Nielsen is incredibly dynamic. The group he has assembled is young and talented, and he is himself superb, both as a researcher and instructor,” says Bols. The Centre wishes to combine three areas: theory, synthesis and spectroscopy. Molecules with the right properties will be designed using quantum mechanical calculations before their subsequent production using chemical synthesis and ultimately investigated using spectroscopy. While solar cells provide energy without any deleterious environmental consequences, they do suffer from one consistent ill. Namely, today’s solar technology is silicon based. Like glass, silicon is heavy, fragile and rigid. Therefore, most solar cells are now situated in far from flattering and uniform rows of panels upon the country’s rooftops. -Our plan is to develop solar cells based on organic molecules that incorporate carbon as their primary ingredient. That might not sound especially flexible, but one needn’t look beyond carbon fiber mats to imagine how it can be bent and twisted,” explains Mogens Brøndsted Nielsen.